 Iran, Dec. 15, 2018 - Members of a vast network associated with the Iranian opposition People's Mojahedin Organization of Iran (PMOI / MEK) inside the country are targeting the regime’s icons in their latest efforts. Khamenei has recently voiced his concerns about the PMOI / MEK by publicly mentioning this organization and forces threatening his regime. He referred to the PMOI / MEK’s significant role in organizing and directing the recent protests. Khamenei referred to “hope therapy” mentioned by Iranian regime President Hassan Rouhani, as all senior regime officials are concerned of a growing number of defects. The regime’s depleting social base is in need of spirit-lifting, especially after severe blows suffered in Syria and Yemen. It is also worth noting how Khamenei used the word “enemy” more than 20 times in his latest public remarks, indicating the regime’s increasing concerns about the PMOI / MEK’s influence inside Iran. Khamenei went on to explain how critical 2019 is for the regime, saying the “enemy” has plans for this year.